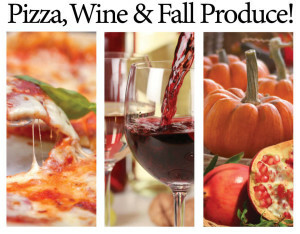 Pizza, Wine & Fall Produce event highlighting Chef Gorji crispy skillet pumpkin pizza. Pumpkin Pizza Highlight Of Culinary Event. Whole Foods Market, Addison and Chef Gorji, collaborate to have fun with fall produce featuring pumpkin pizza, in a special event, Pizza, Wine & Fall Produce October 19, 2015 at Gorji’s restaurant Canary By Gorji, specializing in his signature new mediterranean cuisine, in Dallas,TX. Join Whole Foods Market Addison & Chef Gorji for Pizza, Wine & Fall Produce tasting event. Enjoy pumpkin pizza, pomegranate pizza and chocolate dessert pizza! Chef Gorji will be serving crispy skillet pizzas with wines from Portugal, Italy and Washington State. Produce experts from Whole Foods Market Addison will be available for discussion, questions about fall produce and some fun pumpkin trivia, carving tips and recipe ideas. Limited seating at this fun event, reserve now to make sure you get a place. Rascal & White pumpkin from Whole Foods used in Chef Gorji pumpkin pizza recipe. There are many varieties of pumpkin, some better for cooking than others. For Gorji’s pizza, he uses the Rascal and White pumpkins from Whole Foods Market that are grown in Texas. Other types recommended for cooking are listed in a Washington Post article 10 pumpkin and winter squash varieties you should know by Libby Sander. At this fun event produce experts from Whole Foods Market answer questions and contribute pumpkin trivia, carving tips and recipe ideas. 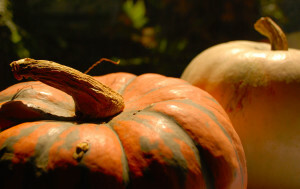 Pumpkins are recognized as a nutritious cooking resource. As detailed in a Huffington Post article 8 Impressive Health Benefits Of Pumpkin by Sarah Klein, they are a nutrient dense food, chock-full of vitamins and minerals but low in calories. There are many recipes using pumpkin and Chef Gorji’s Crispy Skillet Pumpkin Pizza is a delicious one. A ragu that combines pumpkin, Gorji Gourmet Pomodoro, red onions, mushrooms and sausage topped with goat cheese. He uses a pita crust cooked with his stove top crispy skillet technique from his cookbook Zing! By Gorji New Mediterranean Cuisine. How do you like to make pumpkin pizza? No Replies to "Pumpkin Pizza Featured At Event With Whole Foods"